With the holiday season in full swing and everyone at the peak of their shopping, it’s the best time of the year promote and share your Zazzle referral links on your websites, blogs and social media channels. Speaking of promoting, we wanted to remind you about our Holiday Referral Contest – if you haven’t joined yet, now’s the time! The goal of the contest is to earn as many referrals as you can between November 24th, 2015 and December 25th, 2015 by sharing links on your blog, website or social media sites with your Associate ID (referral code) attached. You must submit your Associate ID to this form in order to be considered for one of the prizes. Learn more about the prizes and the contest Terms & Conditions here. Tip #1: Use a tracking code in your referral links. You can add tracking to your links by using the “tc” parameter, which means adding “&tc=” at the end of your referral link. Your actual tracking code, which will follow the “tc” parameter, can be anything of your choosing up to 100 alphanumeric characters (and _ ) in length. You can create your own tracking code for each channel you use for your promotional efforts (e.g. Facebook, Twitter, blog, etc.) to help you see where your referrals are coming from. Tip #2: Include a coupon code in your posts. 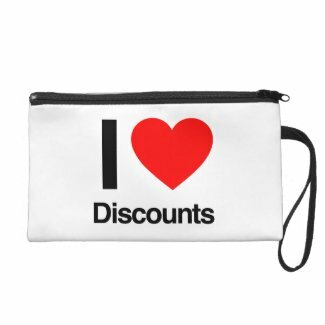 Visit the Zazzle Special Offers & Coupons Page to learn about the latest promotions. There is nothing better than a great deal to give you a little help with turning that shopper into a customer. Tip #3: Place Zazzle Associate Banners on your blog or website. We have new Holiday Gift Associate Banners available! You can spice up your blog or website by adding one of these cheerful banners to that are sure to grab customers’ attention.